Celtic cross may either stand or hang from your wall. This Celtic cross is made in Ireland by N & M Craft. 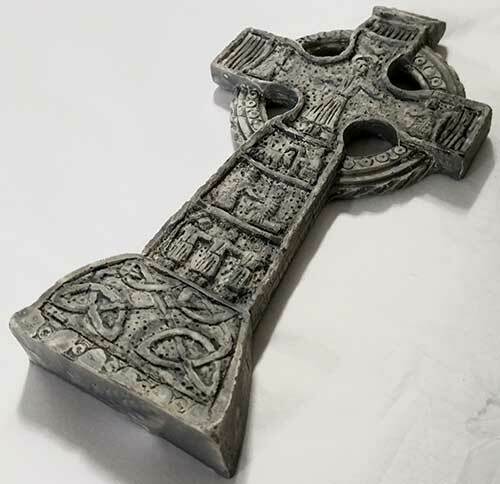 This embossed Celtic cross is made of resin with the look of stone and it is accented with knot-work. 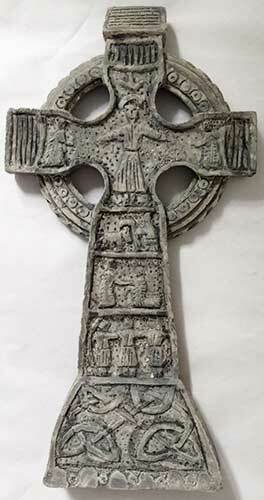 The Irish cross measures 3 1/4" wide x 6 1/4" tall and it is suitable for either standing or it may hang from your wall. The Irish figurine is gift boxed with Celtic knot and Celtic cross history cards, complements of The Irish Gift House. Small standing Celtic cross features an embossed design that has the look of stone.